« Holiday Hero 2016 – Sign up and Make Your 1st of 3 Donations! 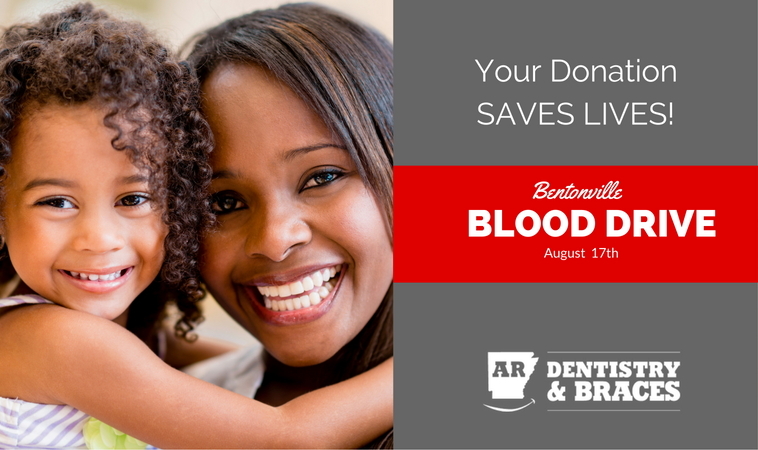 Arkansas Dentistry & Braces is holding its 2nd annual “Creating Smiles and Saving Lives” Blood Drive at CBCO’s Bentonville donor center. We’re in the same center, so it’s easy to find us! 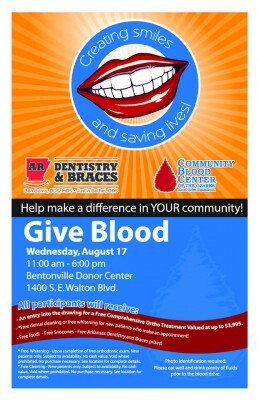 To schedule your appointment to donate blood during this event, click HERE. The well-trained team at Arkansas Dentistry & Braces will care for you in a professional, yet fun atmosphere using the latest in orthodontic techniques and high-tech equipment. We are committed to helping you achieve the smile you’ve always wanted. With 16 high-tech locations throughout Arkansas, the quality care you expect for your family is just right around the corner. We offer braces with no down payment and affordable monthly payments. Call Arkansas Dentistry & Braces today and you’ll understand why We Believe Everyone Deserves a Great Smile! Established in 1995, CBCO is the exclusive provider of blood and blood products to 39 hospitals in a 39-county area comprising Southwest Missouri, Northwest Arkansas, and Southeast Kansas. More than 65,000 donations of blood are required each year to meet the transfusion needs of our friends and neighbors. We at CBCO take the responsibility of providing that blood very seriously. Follow us on social media to stay current on promotions, events, and last-minute changes to our scheduled blood drives.